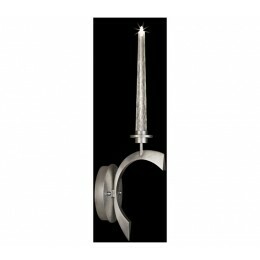 Sconce in a silver leaf finish with unique crescent shaped arms hand-fabricated of sturdy steel, precision cut, curved & fitted to form each cambered, 3-sided faceted arm. Features hand-blown crystal candles. 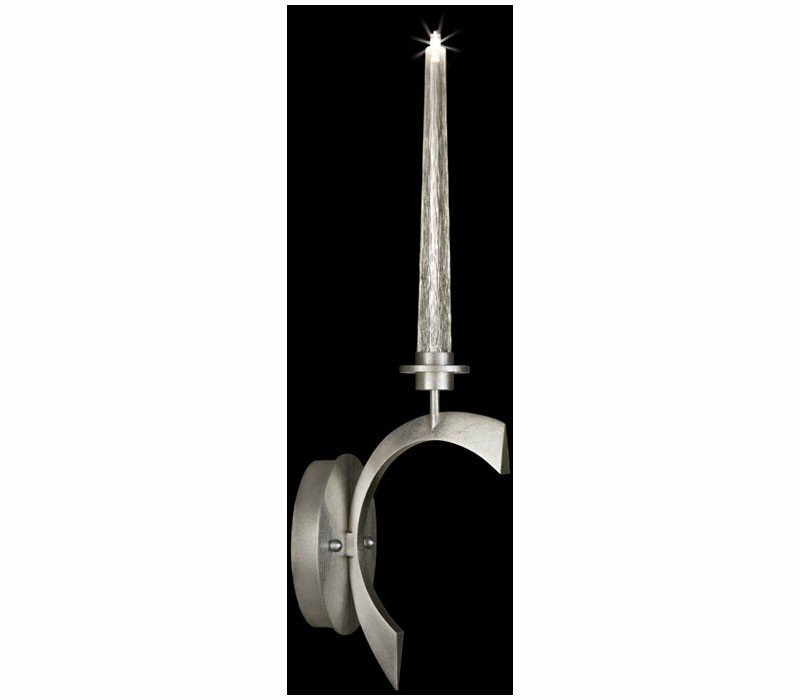 The Fine Art Lamps 812750 Crescents Silver collection Sconce Wall Lighting in Silver Leaf uses Halogen light output and brings Modern style. This item is 26"H x 5"W x 8"D. The total wattage is 10 and the voltage is 120 volts. The Fine Art Lamps 812750 requires 1 bulb (included). Additional Information: Shade-Bare Lamp With Hand Blown Crystal Candles.